Dockercon is scheduled on 9th-10th June’14. If anyone of us attending Dockercon then he/she can share his/her experience. Else we’ll try to look at the Dockercon videos, blogs etc and attempt to summarize it. 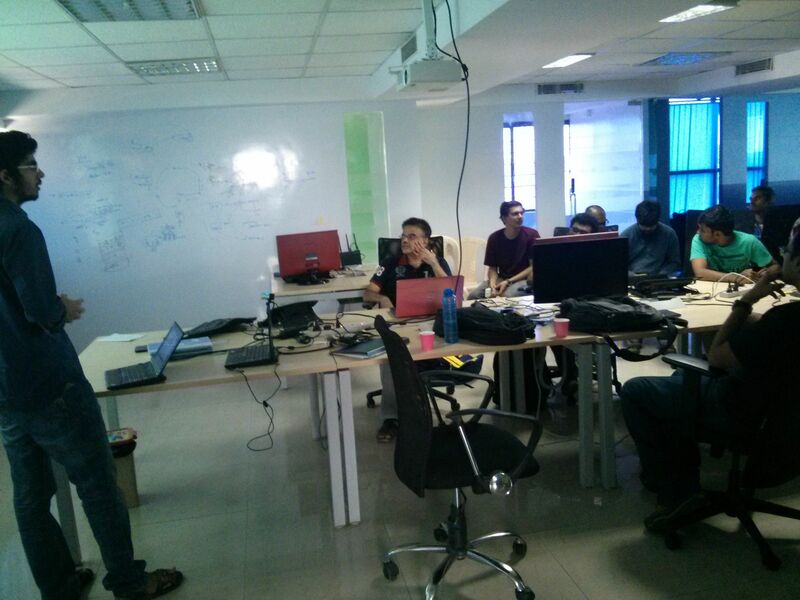 This time we were not able to do “Hands-on with DockerFiles” , so it would be scheduled for next meetup. ~20-25 people attended the meetup. 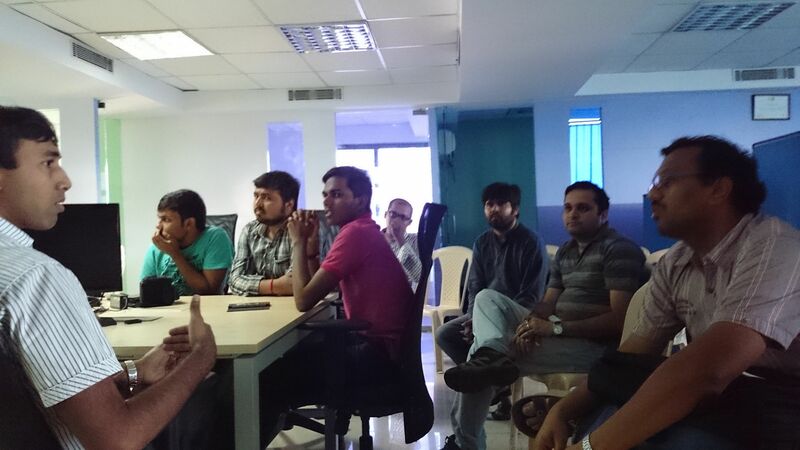 Some of the participants came from Chennai to attend the this meetup. ~40% of them were new to Docker, so along with my session I gave an overview of Docker as well. In my session I mostly summarized Dockercon keynotes . After my session Himanshu gave a demo of cAdvisor, Though we were not able to see per container stats but overall stats were nicely shown on the browser. I think this is very useful tool and would use it regularly. During my session I also share the coupon code which @vcoisne gave me, through which one setup few private repositories in Docker Hub for free. There have been lots of questions during the session so it very interactive. Chennai guys seems interested in starting a Docker meetup group in Chennai and I heard that a Docker meetup group in coming in Mysore as well. We also decided to have short (15 – 20 mins) Docker Intro talk in few upcoming meetups, which would help new folks to understand other talks in the meetup. We tried to live-stream the meetup but due to some issue there was no audio. Anyways next time we’ll to do better in that front. © 2019 Neependra. Theme: Ari by Elmastudio. Proudly powered by WordPress.